MKs from Joint Arab List meeting UN officials to push for resolution condemning Nationality Law as "Apartheid." Arab MKs from the Joint Arab List are preparing a resolution at the United Nations to condemn the Nationality Law, Hadashot News reported. According to the report, a number of MKs from the Joint List met with UN officials alongside Palestinian Authority representative Riyad Mansour and other senior PA officials in order to arrange the passing of the anti-Israel resolution. Senior UN officials briefed Israel's ambassador to Israel, Danny Danon, on the matter and asked for his comments as Israel's representative, and Israeli diplomacy began to work with US Ambassador to the United Nations Nikki Haley to stop the move. Israeli officials believe that the move may lead to a debate and a vote, and are now trying to wage an all-out battle against it. Knesset Speaker Yuli Edelstein responded to the report: "Members of Knesset from the joint list who receive salaries from the state and win all the parliamentary tools still dare to besmirch our name in the world." 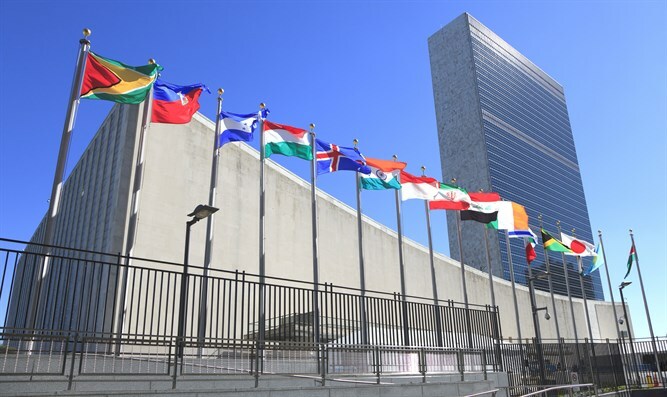 The UN General Assembly will hold its annual session next month.